If you have an old e-portfolio using a custom e-portfolio theme you can convert it to a new one. 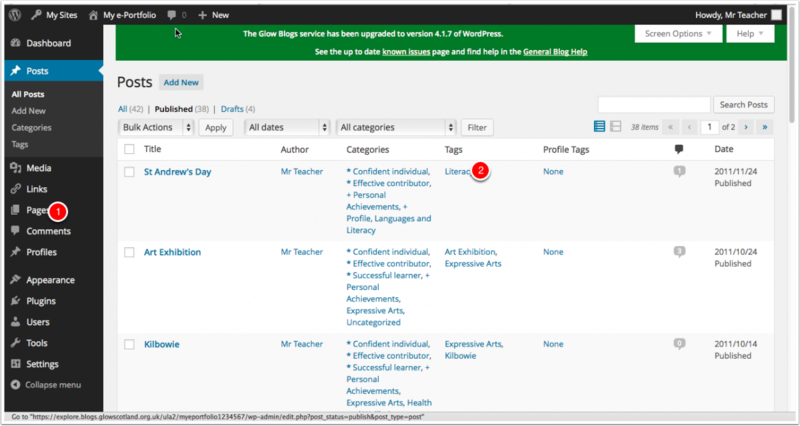 First you need to Activate the e-portfolio plugin. (Dashboard -> Plugins). You could edit each post but it will be a lot quicker to bulk edit them on the Posts section of your dashboard. This document will cover how to do that. 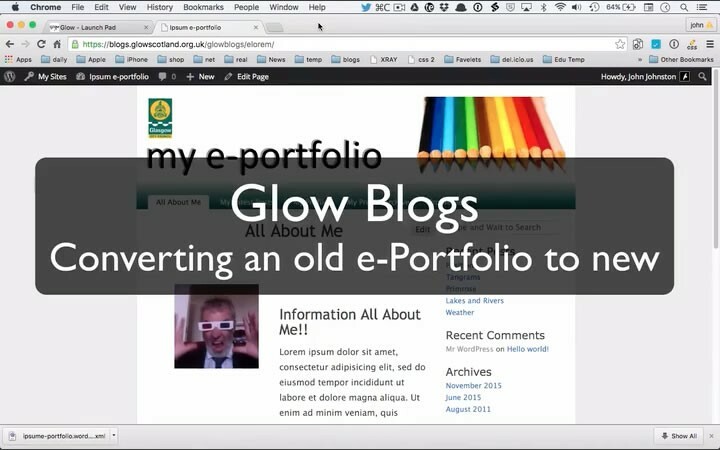 Vist the dashboard of your e-portfolio blog and then go to the Posts section . You will see a list of all of the posts you have made. You can select a set of posts at once and bulk edit to add a particular Profile Tag. One of the easiest ways to do that is to click on an existing tag, for example Literacy . Posts: Selecting for bulk edit. 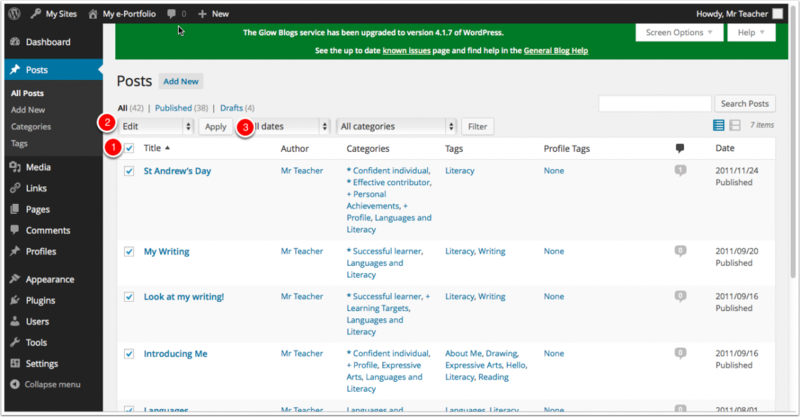 In this screenshot we have clicked on the Literacy tag so that the post list only shows posts tagged Literacy. When selecting all posts with a particular tag you can remove individual posts by unchecking them before bulk editing. This is handy if you have less than three posts with a tag as you will get the old e-portfolio posts The three most recent posts tagged as … listed. We then select the top check which will select all the post on the page . Change the Bulk Edit popup to Edit . After the last step you can then add a Profile Tag, in this case Languages to all the selected posts. Highlight the required Profile Tag Radio Button, in this example Languages . Click Update . The selected Profile Tag will be added to all of the selected posts. In the old e-portfolios you could have a post with more than one tag. You can have only one Profile Tag per post. This is to prevent a post appearing twice on the one profile. You can also quick edit individual post on the posts screen. This Screencast covers the whole process of converting an old profile to a new one.